We have streamlined the process of getting you to the latest and greatest version of SBI Back Office into 10 easy steps. Our team of experienced software integrators will be there to walk you through the TRIUMPH 2.0 Upgrade process, each step of the way. Now is the time to get your update scheduled. Don’t miss out on the newest features. 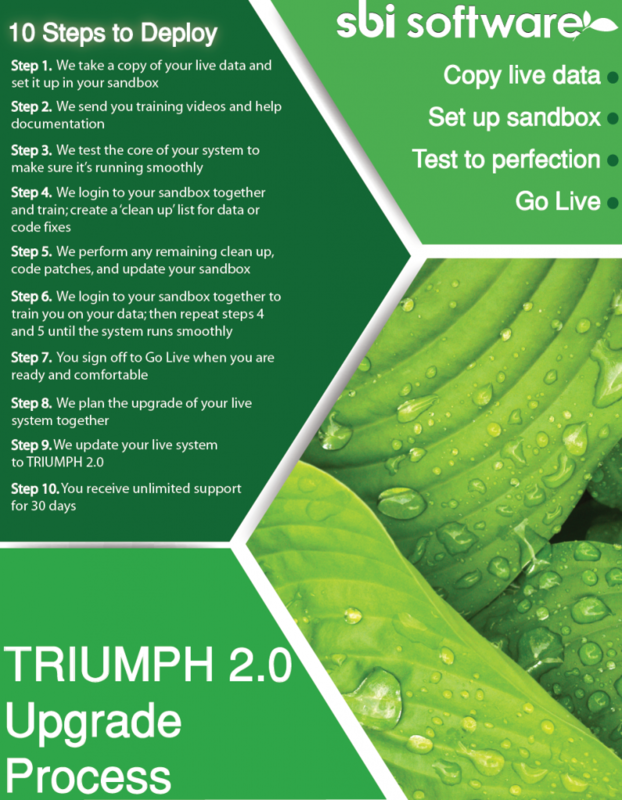 Sign up now for the TRIUMPH 2.0 Upgrade by filling out the form below.